BARCELONA, MOBILE WORLD CONGRESS – As mobile service providers connect more devices, data, and services, they face new decisions for securing their networks for a digital world. Cisco predicts there will be 26.3 billion networked devices globally in 2020, up from 16.3 billion in 2015. Updating security to protect the content and data running on these devices has become a new mandate for mobile service providers as they prepare for 5G, making it necessary to deploy security solutions across the entire mobile network. With the transition to 5G, virtualization and cloud technology, the potential number of attacks and threats on mobile networks is growing. To protect against current and future threats, mobile operators need to adopt a holistic approach to achieve robust security. Today at Mobile World Congress in Barcelona, Cisco is introducing its Security Architecture for Mobile Service Providers, a comprehensive portfolio of threat-centric solutions that offers multi-layered protection across the network, the endpoint (device) and the cloud. Network Security: To help service providers protect their mobile backhaul from attacks against the core network, Cisco introduces its next generation of highly scalable, physical and virtual Security Gateway (SecGW) solutions, supported by the Firepower 9300 and Firepower 4100 Series firewall appliances, ASR 900 Series routers and Adaptive Security Virtual Appliance (ASAv). Device Security: Cisco security on the device enables enterprises and service providers to extend visibility and device-level protection to offer the most robust mobile device platform for the enterprise. Cisco and Samsung will deliver endpoint visibility and data intelligence to business customers via Samsung Knox, Cisco® AnyConnect and Cisco Stealthwatch solutions. Cloud Security: Service providers can now deliver new revenue streams by offering their customers new managed security services from their own managed cloud, or Cisco-managed cloud environments. Today Cisco announces ‘Cisco Umbrella for Service Providers’, a new cloud-delivered security platform that helps service providers address the critical needs of their customers, while creating a new revenue opportunity for their business. Cisco is also introducing new integration of its Cisco Umbrella security service, with the Cisco Evolved Packet Core (EPC), available to run on the Cisco Ultra Services Platform or Cisco ASR 5500 Series routers to deliver a more secure Internet experience to any mobile device. A broad mix of these security solutions is being implemented by mobile service providers and device manufacturers including Deutsche Telekom, Samsung, Vodafone Hutchinson Australia and others, as they move with confidence toward a 5G world. 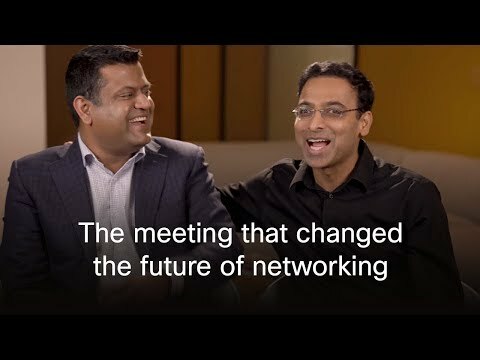 Cisco is building the simplified, automated and virtualized network platform of the future based on industry-leading software, systems, silicon and services. This enables service providers, media and web companies worldwide to reduce costs, speed time-to-market, secure their networks and sustain profitable growth. For more information about Cisco Service Provider Business news and activities at Mobile World Congress visit the SP360 Blog or follow us on Twitter @CiscoSPMobility and #CiscoMWC.